In the car on the way home after Strategicon, I like to talk with Mike about what games we played and how they worked or didn’t wor. It’s a post-mortem that helps me get perspective on the weekend and what I enjoyed about the experience, what I would change, and generally so I can learn and grow as a gamer and designer. I then like to write down our thoughts and experiences, even if they’re not full write-ups, so that I can remember later what happened and how the con went. We arrived early on Friday and had time to unpack, unwind, shower, and get snacks before Mike’s 6 PM game of Pocketmod Pirates of the Spanish Main. 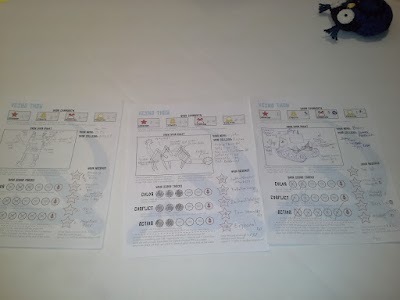 This game is kind of a neat little ship-to-ship skirmish game. 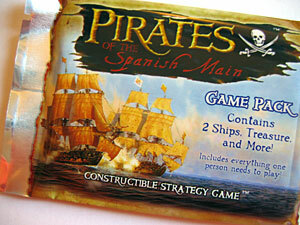 In it, you construct a little pirate ship from the booster pack that the game comes in, and you can sail to islands to get coins, or fight other pirates to steal their coins. In many ways, it is an extremely simple game, but it’s a good, quick game for tactical naval combat. Mike was playing against two children, who were siblings. He used a tactic that proves highly effective– he let the brother and sister destroy each other while he quietly accumulated coins from uninhabited islands and won the game. 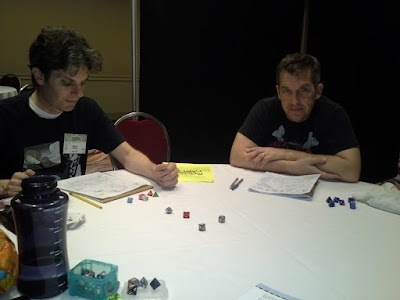 At 8 PM, we were both running our games: I had Dungeon World, and Mike had Tunnels and Trolls. 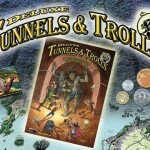 Tunnels and Trolls is a very lightweight RPG by Flying Buffalo. 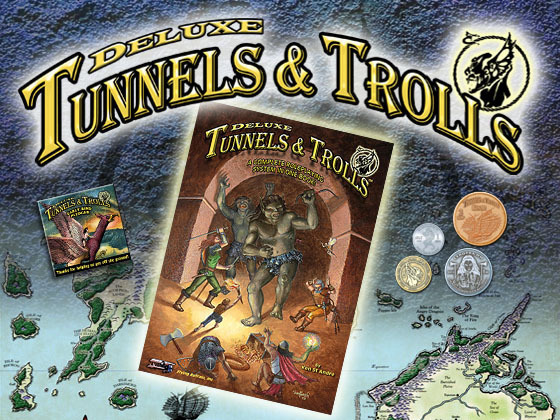 They did a kickstarter project last year to put out a new edition of the game (Deluxe Tunnels and Trolls), which hasn’t quite delivered yet, but will soon. Mike’s game had no signups before went to play Pirates, so he was pretty sure he would sit there for ten or fifteen minutes before packing up. Not so, however, when some fellow gamers from Vegas signed up and hopped onto his table for a rousing adventure using the RPG Day module that took place on a longboat with pirates! Mike said there was a surprisingly large amount of role-playing around the table, which pleased him as a GM. My own game of Dungeon World went all right, too. I am working on a Dungeon World/GUMSHOE “hack” in which a custom move allows players to investigate the scene of a mystery (like a crime scene), search for and get clues, and unravel the mystery. In Gumshoe, the players basically follow the trail of clues to lead from one scene into the next without feeling railroaded. In Dungeon World, there is no railroad, so how do make a mystery story work? 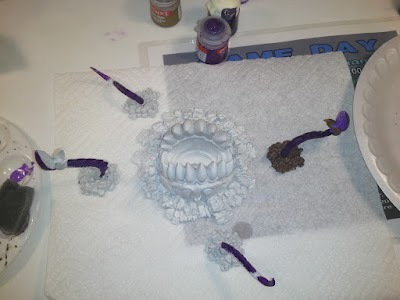 Well, I’m still working on that, but one way is to set up the sandbox, knowing what happened before and what happens next. Give the clues to the players. Give more clues to players who look for them. And every time they fail an investigation roll, an extra GM move is “hold 1 for the showdown with the culprit.” This represents the bad guys’ preparation for the showdown, and gives the PCs something to worry about. I ran this adventure previously for my Thursday night group, and it didn’t go very well. Very frustrating, lots of brick walls, but the playtest was invaluable to me because it showed me the missing links between the culprits. In the adventure, a demon and a human are working together. The demon eats people’s hearts. The human preps them for dinner. The human is the local priest of the god of love. And the connection between the two was not clear in my playtest. 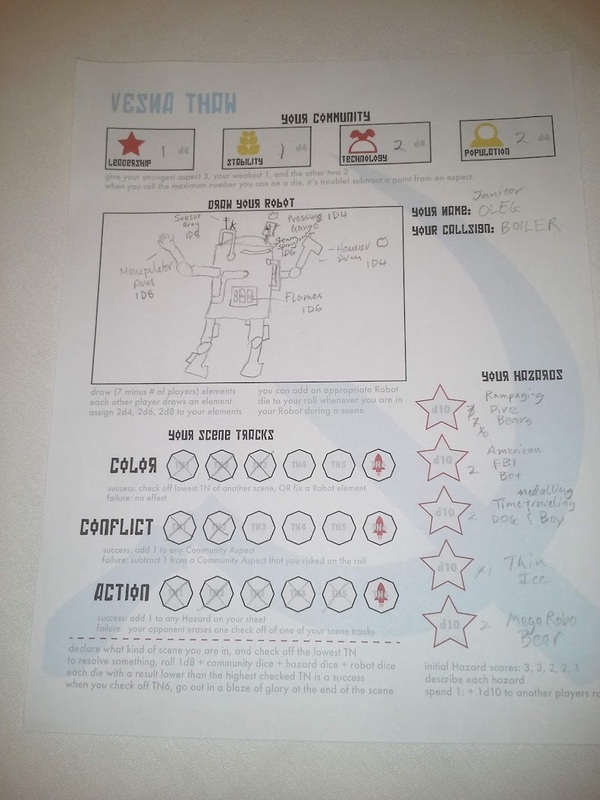 During the game on Friday night, however, the paladin was trying to detect evil on the first victim, to see if nefarious things were going on. The priest was present… and of course he’s evil. The paladin was flummoxed, left to get the rest of the party, and the plot proceeded really well with the wizard and NPC priest charming each other (fist-bump!) and the PCs finally fighting and defeating the demon with a strong hit with a magically prepared weapon. Mike and I both had games early on Saturday (9 AM). 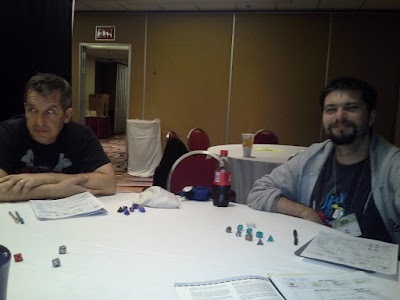 Mike’s was another Tunnels & Trolls game he was GMing, but he didn’t get any players so he hopped over to my game. 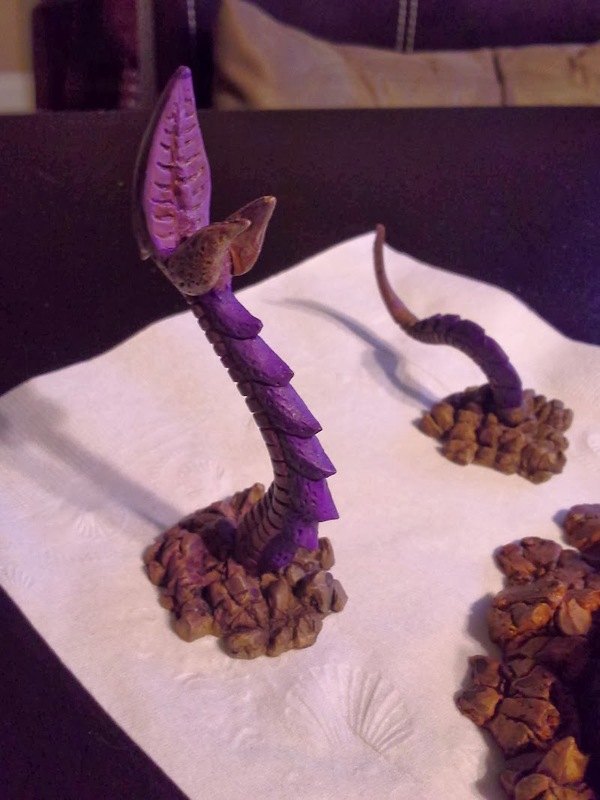 I was playing in a Dungeon World game about saving Prince Damzale, who was in distress, having been kidnapped by a dragon sorceress, to be sacrificed and bring forth the dragon god. 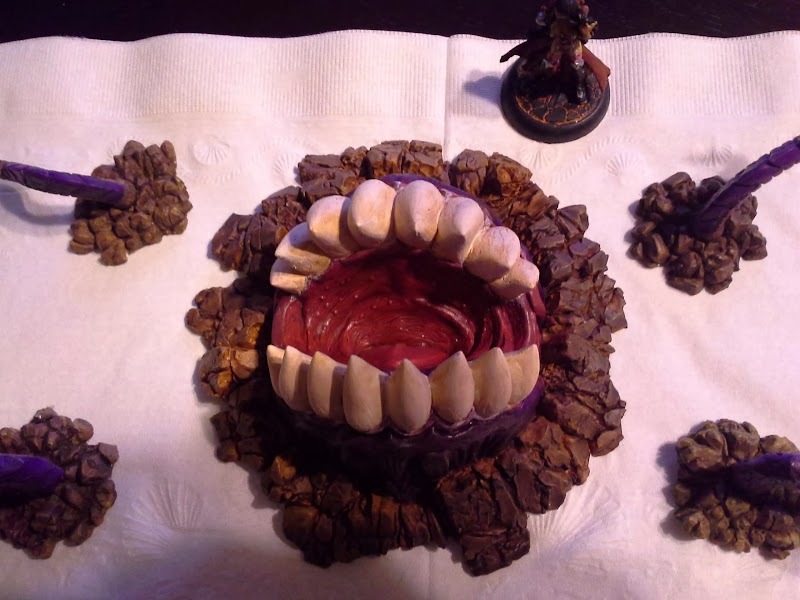 The GM made one mistake, which was allowing 6 players in his Dungeon World game. I call this a mistake because DW plays best with 4, all right with 5, and 6 requires a very strong GM. I was thankful that only 5 came to my game on Friday night– one more would have been one too many, and I’ve been GMing for decades. I played the Bard in this game, and I built her to be very timid in battle. In essence, if she’s trying to hurt someone, something has gone very, very wrong. Mike picked the Paladin, but got a call for work and relinquished his seat to a bystander. 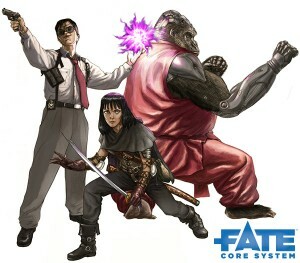 The party was mostly combat-oriented, as one would expect in a dungeon-crawl style game, with a thief in the party to round out the skills needs. There was a very frustrating moment in the game when one of the players basically hijacked the scene. He did this because, despite my best efforts, the GM was doing a piss-poor job of actually letting me do my job and talk to/convince an NPC to work with us. So, instead, the fighter had to do my job (and when I say that, I mean he said almost exactly the same words I was saying). I was not pleased by this, in the slightest, and the player later apologized for it. The thief wasn’t pleased either, and complained that he was now a random number generator. There was a lot of that niche-stepping going on in this game, which is exactly what happens when there are too many players and the GM fails to switch the spotlight effectively. In the afternoon, Mike had a game of Starship Valkyrie. This is a LARP (live action role-playing) game in which the players take on the roles of various “space navy” crewmen and, working in their groups, they solve puzzles and mini-games to accomplish tasks and overcome challenges. Mike enjoyed the game, said it was very similar to a Star Trek LARP/simulation game. They even managed to streamline the torpedoes for future adventures! My next game was an Inverse World game. This was, by far, my best game of the convention. Normally in a con game, you will have a certain amount of friction between players. This is a very normal part of any group dynamic, and there are lots of ways that GMs and players try to mitigate the friction, including choosing roles as a group to best form a cohesive team, switching focus well, encouraging team play styles, and sometimes just making sure that everyone has enough hit points to put up with anyone else’s attack. This game, however, was nothing like that. I was a little concerned because I wanted to bring in my Lantern Halwynn from the previous IW game I’d played online. But Halwynn is 2nd level and has lost her light, so her story is already fairly strongly changed. We decided that the adventure we would go on would take place a year earlier, and I made Halwynn’s character sheet as if she were still level 1. 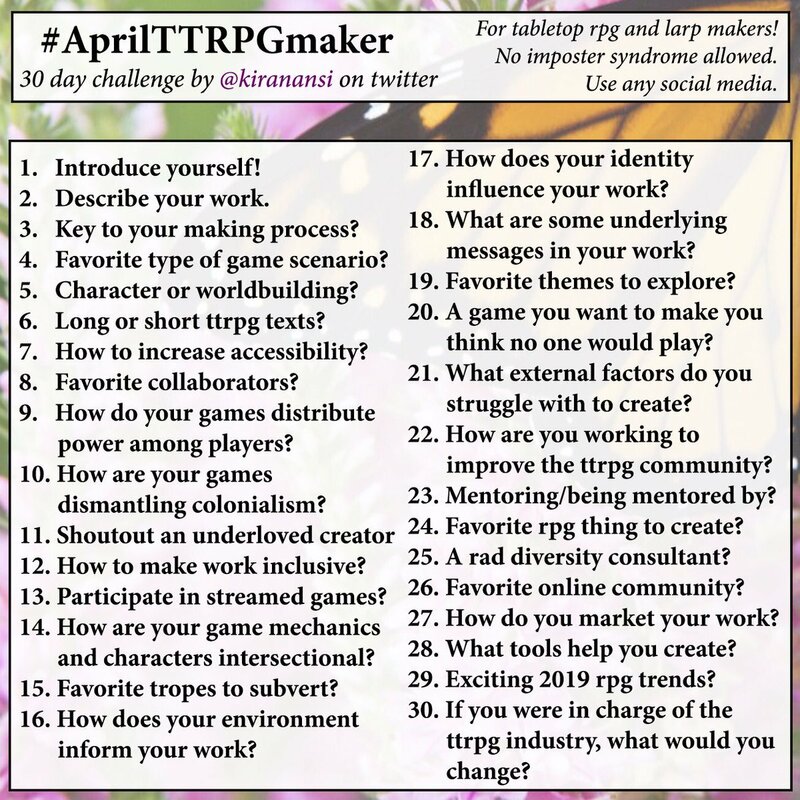 In the party were a golem made of water named NO-003, a Collector of games named Sonnia (who is also a 13 year old girl), and an Air Dancer named Arial, who was also made largely of incorporeal air. We learned that NO-003 had been bought by Sonnia as “the most interesting game I’ve ever played,” and the whole party has come together as messengers, delivering a message to a larg, flying warship during wartime. Mike played pyramids with Looney Labs founder Kristen Looney. Said he enjoyed the game. We both played games with the Looneys– Fluxx and a new game that isn’t out yet, Loonacy. 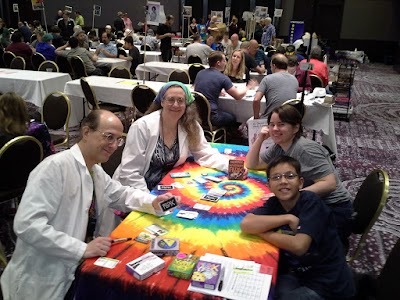 I had brought my games along and had Andy and Kristen Looney autograph them– which took some time, given I was a street team volunteer waay back. 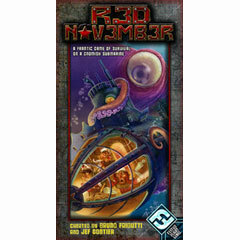 That morning, Mike and I played Red November. 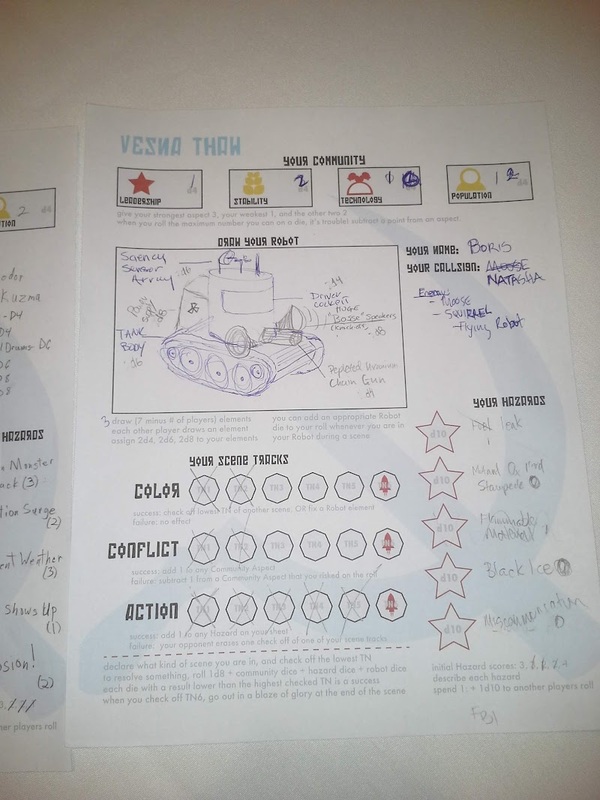 The rules for this game need a desperate rewriting, and the cards need to be redesigned as well (they reference trouble tracks to move, but don’t indicate the icon to move… and the tracks are unlabeled). It’s cute, and I’d like to actually play a full game– ours was cut short due to Mike’s work. Mike played Paranoia on Sunday afternoon. I’m not sure how the game went, but he was still talking about it on Monday afternoon, so it must have been good. He says he enjoyed it in all its campy goodness. I played Fate with psionics. It was a bit of a cross between X-Men and Delta Green– part crack team to protect new psions and part hippy squad. The adventure started with the Bad Guys breaking down the door of HQ, and didn’t go well from there. It was not easy to find the party niche with this character, so I played an RP niche of sarcastic side commentary. My character was a sniper with psychometabolic (think hulk-out and Wanted type stuff) abilities in a team that included a gunner who could literally shoot through walls. So I instead embraced the tension between my character (Jamie) and the psionic-shield guy (Sean) who believed God had given him his powers. Some great moments included Sean praying for guidance to give us a scene aspect, and when my decidedly-atheist character tagged that aspect, she muttered “Amen” under her breath. Interestingly, Sean and Jamie were both written as the opposite genders from who we played them as. 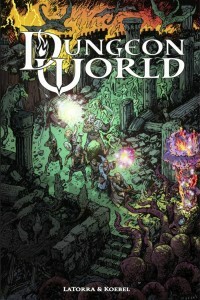 In the evening, at about 8:30 PM, I ran a pickup game of Dungeon World for Mike and 4 other players. It was completely pickup– I found people wandering around who hadn’t ever played DW before, and ran them through two “scenes” so they could get a sense of the mechanics of the game. My prep time was about 0 minutes, but I stole my Santa’s Reindeer from the Krampus adventure, and used Prince Damzale from the earlier adventure as a plot device. We wrapped up by 10 PM, which was a great filler and gave people a taste of this awesome system without requiring a huge adventure. 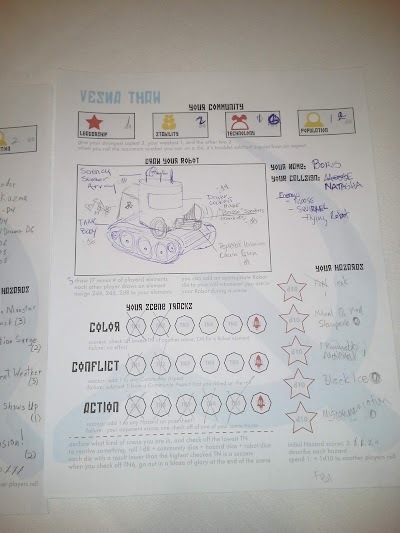 Monday morning, I ran Vesna Thaw and had 3 players, which gave me leeway to play along. Mike hit the dealer’s room for the last time and finished checking out of the hotel room. We had dire bears, monsters, some PvP, and a robotic Boris/Natasha pair who had to keep facing Squirrel and Moose! Perhaps my strongest take-aways from the weekend were that Dungeon World continues to be a very popular system. Mechanics-heavy games are less popular outside of the Organized Play venue.